The boll weevil took up residence in Georgia’s cotton fields between 1915 and the early 1990s and the infestation made cotton production unprofitable. 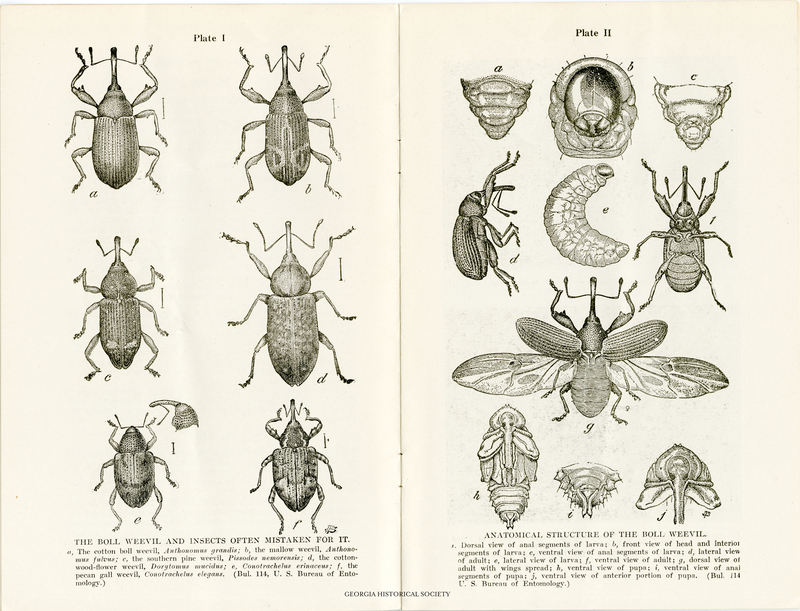 This booklet, created by the Georgia State Board of Entomology in 1916, offered farmers some insight into the boll weevil infestation. 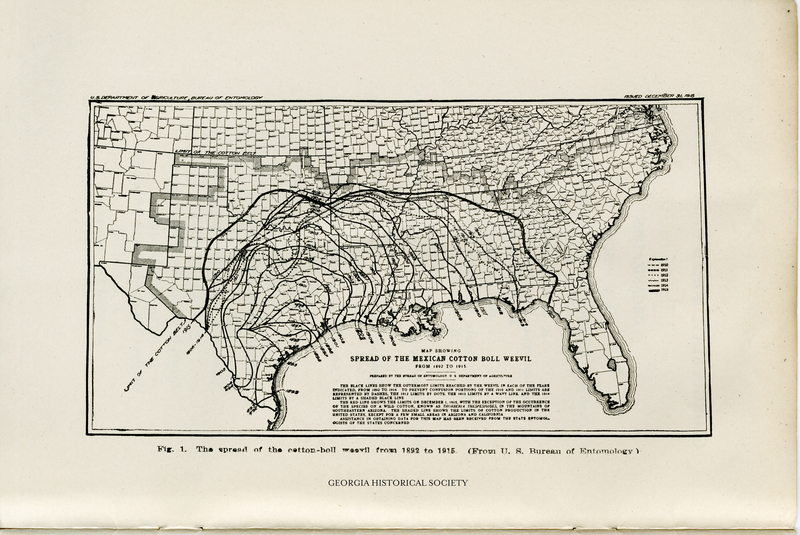 Boll Weevil Map From “The Mexican cotton boll weevil” Georgia State Board of Entomology, 1916. From the Georgia Historical Society Rare Pamphlet Collection. 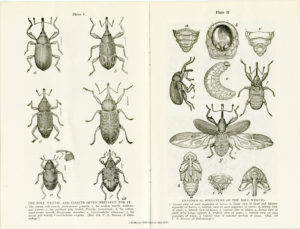 Boll Weevil diagrams From “The Mexican cotton boll weevil” Georgia State Board of Entomology, 1916. From the Georgia Historical Society Rare Pamphlet Collection. Eugene Talmadge served as governor from 1933-1937, 1941-1943, and was elected again in 1946. During his governorship he promoted limited government, low taxes, and the plight of the farmer. 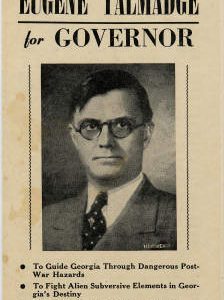 This handbill comes from Talmadge’s final gubernatorial election of 1946. 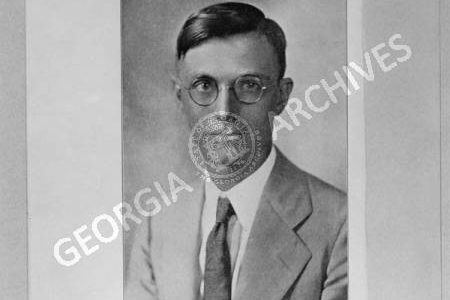 Eugene Talmage became a dominant figure in Georgia politics from 1926 to 1946. His first successful bid for office came in 1926 when he won the race for Commissioner of Agriculture.Throughout his political career, Talmadge portrayed himself as a friend of the farmer. While serving as Commissioner of Agriculture, he promoted his political views through the office newsletter. 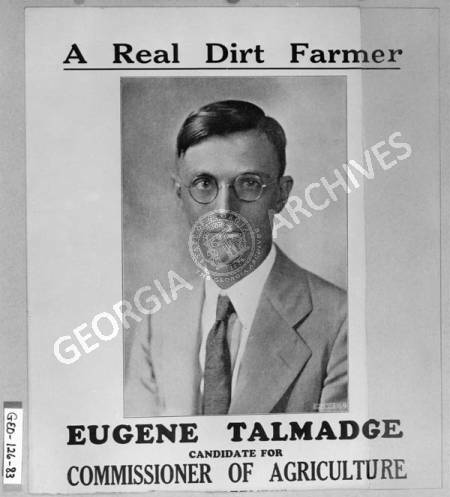 Political poster of Eugene Talmadge as 1926 Democratic candidate for Georgia’s Commissioner of Agriculture. From the Georgia Archives Vanishing Georgia Collection. Click here to read the item description from the Georgia Archives. On September 25th, 1918, an estimated 130 men from Georgia lost their lives in a tragic accident as a violent wave caused a crash between the Otranto and Kashmir, two ships carrying troops to England. The crash caused the Otranto to veer off course and sink. The small town of Nashville, Georgia lost 20 citizens in the accident. Residents of Nashville erected a monument to the victims of the disaster after the war. 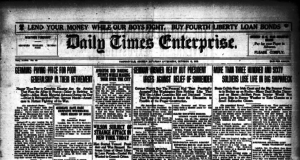 The front page of the Daily Times Enterprise on October 12, 1918, covers more WWI topics than the Otranto sinking. The front page offers general war news and, in the left corner, an ad for war bonds and stamps. President Franklin D. Roosevelt created the Works Progress Administration (WPA) by executive order in 1935 as a part of his New Deal. The WPA acted as a work-relief program hiring unemployed citizens to build roads, bridges, airports, public parks, and other public facilities. WPA programs also included the federal art, music, theater, and writer’s projects. People were also employed for other tasks, including sewing, bookbinding and working in schools.